HomeServe Security, Door Repairs Surrey, has been established for over 40 years and is a well-known name in the burglary repairs industry. We specialise in door repairs, door replacement, and windows repair and replacement in Surrey and London. 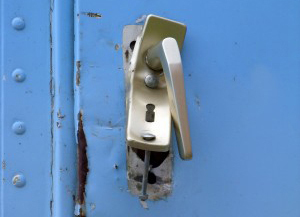 We supply and repair door handles, locks, hinges, uPVC components and all door and window devices. Our work is fully guaranteed and you can expect professional and expert advice. Our emergency door fitters are available 24 hours a day, 7 days a week and can repair or replace metal doors, windows, window gearing, floor springs, door locks, window locks, handles, hinges and double glazing. We provide a quality service for door repairs or window repairs for both the commercial and domestic sector in Surrey and across London. Whatever the size of the enquiry, you can be certain that we will assist you.